Starboard by the Sea. This is a top floor, three bedroom, two bath condo with fully equipped kitchen, living area with wet bar, large high definition flatscreen TV with extended cable and a 'smart' Blu-ray player. Connect to Hulu or Netflix with your account password for additional viewing options! A second flat panel television and DVD player in the master bedroom. Upgraded granite countertops in the kitchen, large dining table, deck to enjoy your morning coffee with a view overlooking pond, small deck overlooking pool! 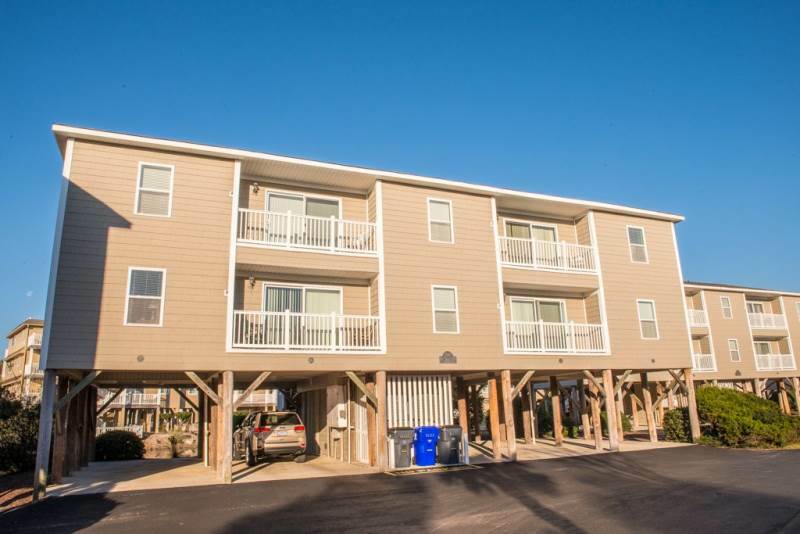 Additional amenities include: community swimming pool with pool furniture; tennis courts; oceanfront swimming pool with private walkway to beach; tidal dock for kayaks,canoes, and fishing (not deep enough for boats). Wireless internet access. Bedding: Queen, Queen/Single, 2 Bunk Beds. Non Smoking.